We're about celebrating the beauty of aging with healthy, hydrated, even-looking skin. 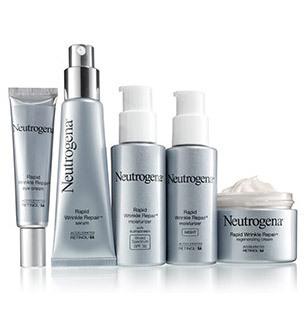 While genetics play a role in aging, a secret to aging gracefully is in the power of your products. Daily routine and the right combination of these four ingredients can help fight the signs of aging skin. Accelerated Retinol SA formulas are proven to visibily improve the look of wrinkles, fine lines and texture. Hyaluronic acid has skin-replenishing properties and can help moisturizers lock in moisture and strengthen dry skin. Formulas with Vitamin C help combat discoloration, uneven skin tone and dullness for brighter smoother-looking skin. Sunscreen provides broad spectrum protection against UV exposure that causes wrinkles and sunspots. No matter how old you are, your environment, daily routine and sun exposure can speed up the signs of aging skin. Learn more about changes, concerns and our recommendations for treatment at every age. Hint: SPF for everyone! Skin is likely to look its healthiest, but early prevention is the key to maintaining the skin’s natural barrier and reducing the signs of aging. Keep skin moisturized with formulas containing hydrating hyaluronic acid, and protect it from sun damage with SPF 30 or more. 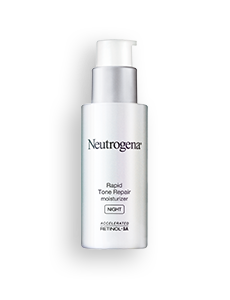 The slowing of skin cell renewal can lead to dull, uneven skin tone. As oil production begins to slow, skin may become more dry. Use Vitamin C formulas to help even out tone and texture and moisturizers with hyaluronic acid to replenish moisture. 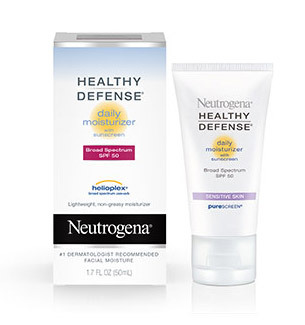 An SPF of 30 or more combats sun damage. Dull, dry skin and wrinkles are likely your concerns due to slow cell turnover and reduction in collagen and elastin production. Retinol formulas can help reverse the signs of aging by speeding up skin renewal and slowing down visible signs of further damage. As always, use an SPF 30+ to protect skin. Your skin has experienced many changes up to this point: crow’s feet, wrinkles and dryness are likely your top concerns. Retinol formulas will help moisturize, brighten skin and diminish the look of fine lines and wrinkles. Look for retinol products with glucose complex and hyaluronic acid for great skin improvement. We love a good routine, because we know consistency coupled with long-term product usage contribute to healthy-looking skin. Day and night, here's the regimen to try. Start and end the day with a cleanser. Massage onto skin using your fingers, then rinse and pat dry. Smooth a pea-sized amount of the product containing the ingredient of your choice over face. Focus on lines and wrinkles. Lock in hydration using a quarter-sized amount on face and neck. Apply in an upward motion. 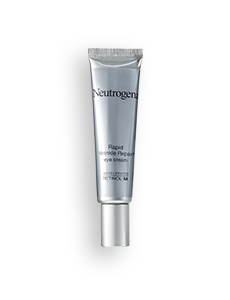 Use a generous amount 15 minutes before sun exposure and reapply at least every 2 hours. Skip this step at night. 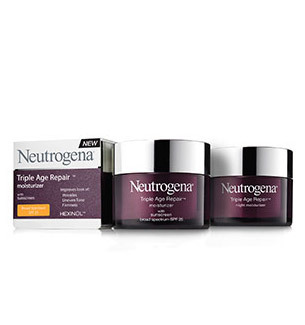 Discover our product lines designed specifically for aging skin. Visibly reduce the look of fine lines and wrinkles in just one week. 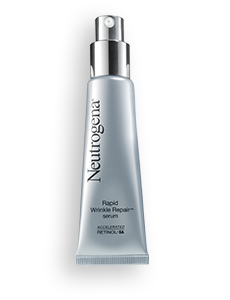 Visibly reduce the look of dark spots and discoloration. 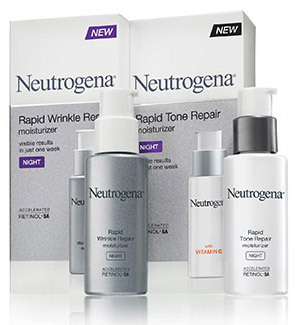 Daily moisturizers that help erase away the appearance of fine lines and discoloration. 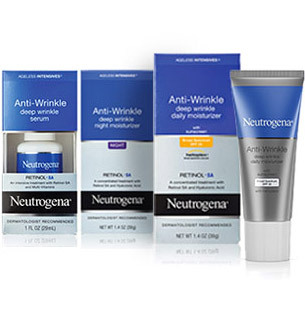 Uncover vibrant, healthier-looking skin with fewer visible wrinkles in just two weeks. Help prevent the signs of aging with superior broad spectrum sun protection. Restore skin’s appearance with HEXINOL® technology and Vitamin C.
Achieve beautiful skin at any age. 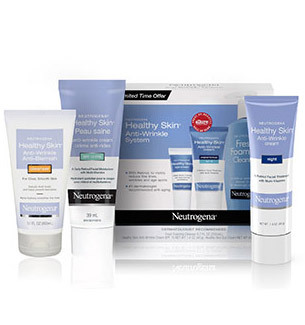 Regenerate and smooth the look of skin. 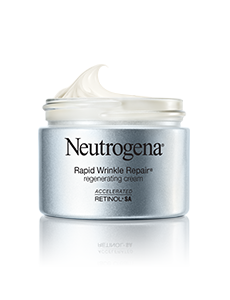 Reverse the look of wrinkles and dark spots with dermatologist-recommended retinol.